19th century Italian Micro Mosaic table with five scenes. Central scene is Saint Peters Basilica surrounded by a malachite band and four surrounding of The Collosseum, The Forum, The Pantheon and The Temple of Hercules the victor all connected by micro mosaic floral swags. The outer border is lapis band with spaced medallions with masks, dove and swan roundels. All inlaid in a Black Stone base with an inset edge. 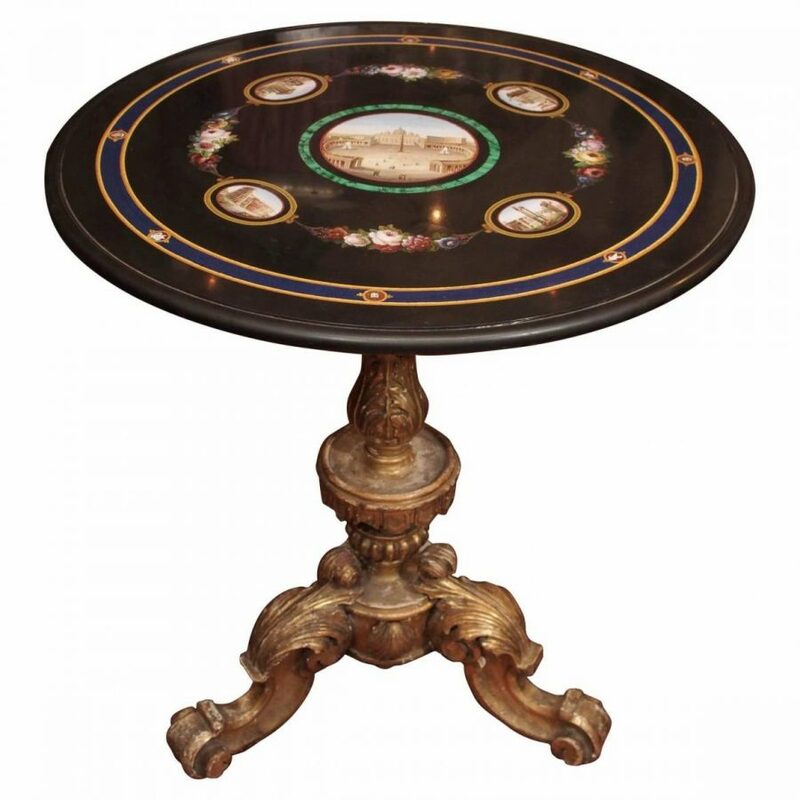 The top is on a carved giltwood triform base with acanthus decorated legs and an urn form central stem.